Permanent makeup is a procedure that uses pigmentation to shade eyebrows, lips, and more. While many women apply makeup on a daily basis, some women are looking for a more long-lasting solution. Permanent makeup is often sought by patients who have makeup allergies or difficulty applying makeup regularly. Permanent makeup is also a convenient solution for scar camouflage and breast repigmentation. 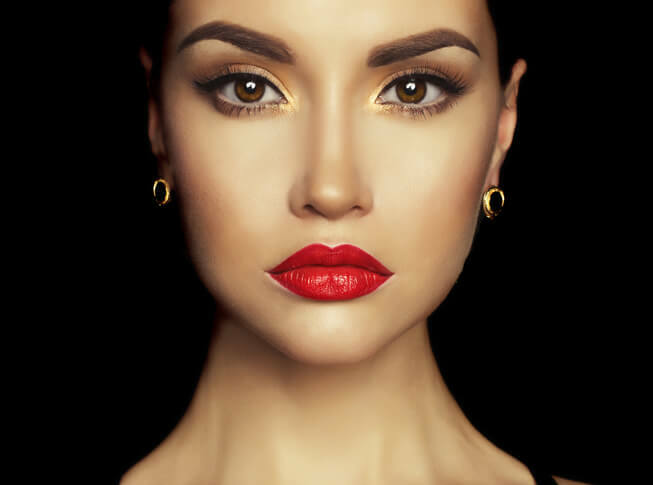 Permanent makeup is performed through a procedure called micropigmentation where an organic pigment is placed beneath your skin to add permanent coloring to your lips or eyebrows. Permanent makeup is applied through a hand-held applicator that delivers pigmentation to the areas being treated. Micropigmentation of permanent makeup can define the eyes, lips, and brows by creating the look of eyeliner, eye shadow, and lip liner. Permanent makeup can even be used to enhance a man’s side burns. Micropigmentation can also be used for breast repigmentation and to camouflage scars. 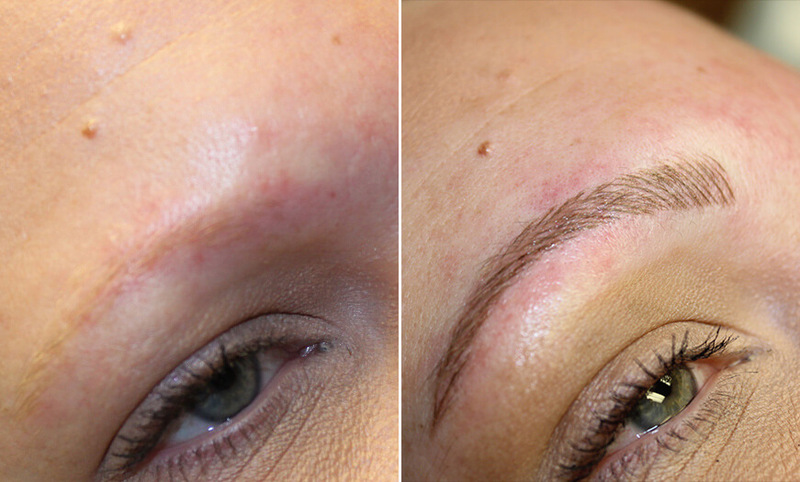 Permanent makeup can help achieve soft, natural-looking eyebrows by applying even pigmentation along your eyebrows. Micropigmentation provides full, thick eyebrows that are perfectly shaped and arched to your particular goals. Permanent makeup for eyebrows can enhance your existing eyebrows or even create a natural-looking eyebrow for those who lack proper hair growth. By creating a 3-dimensional eyebrow shape, permanent makeup can provide a long-lasting solution to daily makeup application and even hair loss. 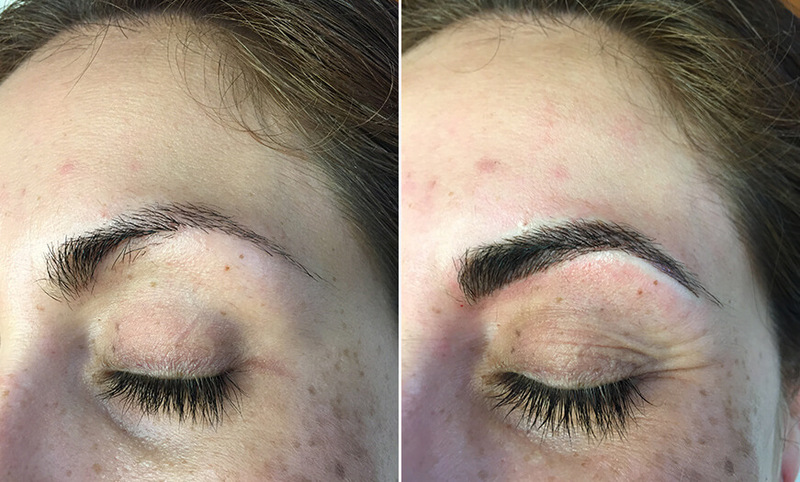 Microblading, also known as eyebrow embroidery or microstroking, can enhance the eyebrows using permanent makeup techniques. 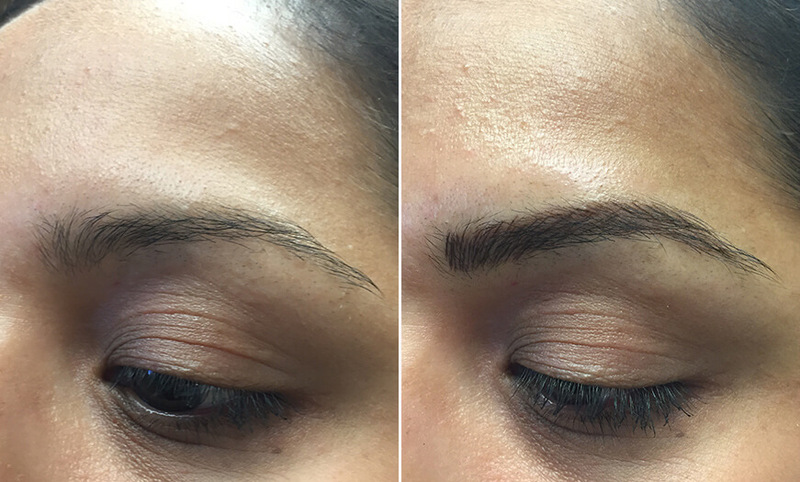 Microblading uses a specialized micro-pen to create natural-looking strokes that fit in with your eyebrows. The micro-pigments created during your eyebrow embroidery procedure emulate your natural eyebrow hair, resulting in fuller, beautiful-looking brows. Permanent makeup can help you achieve longer, thicker lashes through Xtreme Lashes®. Eyelash enhancement with Xtreme Lashes® is a simple procedure that can provide natural-looking lashes that are scientifically designed to look, feel, and function like your natural eyelashes. A synthetic eyelash is gently applied to each of your existing natural eyelashes for fuller lashes. For dramatic eyelashes, a set of 40 eyelashes per eye is often applied. To create an even more glamorous eye, eyelash sets of 50, 60, and more are available for the most effective results. Permanent eye makeup utilizes permanent eyeliner to help accent your eyes and make them look beautiful and bold. Patients have the option to choose between a soft, subtle eyeliner to a bolder line for more glamorous results. Permanent eyeliner can be applied to both your top and bottom eyelids. A variety of colors and styles of eyeliner are available to best meet your individual look. Permanent eyeliner eliminates the constant worry of smearing or smudging your eye makeup. Permanent lipstick or a lip liner can be applied to create fuller-looking lips. Patients can choose from subtle lip shading to full-lip makeup and coloring. Soft shading around the lips can complement the shape of your lips and provide a more plump appearance. Full-lip makeup will create the appearance of permanent lipstick. Colors range from soft neutrals to bold bursts of color depending on your makeup preference. Permanent makeup for men can help create fuller, natural-looking sideburns. While some men may choose permanent sideburns to create thicker-looking sideburns, the majority of patients choose permanent sideburn makeup to cover up areas of hair loss or thinning. If you suffer from hair thinning, hair loss, or a medical condition that causes balding, permanent makeup can help restore the shape and fullness of your sideburns. Scars can easily be camouflaged and reduced in severity with permanent makeup. Using pigment that perfectly matches your individual skin tone, permanent makeup can correct uneven pigmentation or discoloring that is the result of scarring. Permanent makeup can help conceal the effects of burn scars, acne scars, and other injuries. Cosmetic tattooing can apply pigmentation to scars, which can break down discoloration for a more even skin tone. Breast repigmentation can restore the natural coloring of your breasts and areolas after breast reconstruction surgery. Areolas can be reshaped and shaded for natural-looking breasts. Breast repigmentation can also help address any discoloration or uneven skin tone that is a result of scarring or incisions from breast reconstruction surgery. Permanent makeup can also help women who have experienced color fading in their areolas. What Can I Expect From My Permanent Makeup Procedure? Your permanent makeup consultation will begin with an evaluation of what you wish to have treated. During your permanent makeup consultation, you will be able to look at various techniques and colors to customize your permanent makeup to precisely fit your preferences. After your permanent makeup procedure, you may experience slight discomfort or irritation, but these side effects will quickly fade in the days following your procedure. You will notice results almost immediately after your permanent makeup procedure, with continuing results appearing in the weeks after your appointment. How Can I Get Started With Permanent Makeup? Dr. Mokhtar Asaadi and our staff will be happy to discuss permanent makeup with you. Please contact our New Jersey office at 973.731.7000 or our New York office at 212.938.0158 to schedule a private consultation. You may also request an appointment online to meet with our permanent makeup doctor.